A spouse is likely to be one of the most successful challengers of someone’s will. The grounds under which those challenges are successful typically hinge on showing the decedent lacked capacity or there was some type of undue influence. Sometimes, a decedent left out someone on their will who you would assume might inherit a significant portion of the estate, like the spouse. Contesting a will is something that should not be taken lightly, as the process is almost guaranteed to bring problems and internal arguments between family members who are already mourning the loss of a loved one. Attempting to challenge a will is not a simple procedure. It’s important to retain a skilled Washington DC probate attorney who has experience handling will contests. 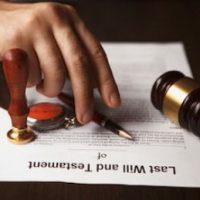 Undue Influence, Forgery, or Fraud: If you can show a will was procured by forgery or fraud, the will may be invalidated. Undue influence typically involves the manipulation of a more vulnerable person into leaving much of their estate to the person who is the manipulator. Lack of Testamentary Capacity: There is a presumption that someone has testamentary capacity when making a will if they are 18 years of age or older. Minors typically lack capacity, except in certain jurisdictions where minors served in the military or are married, in which case they are considered adults in terms of creating a will. Challenging someone’s testamentary capacity means the person may be senile, has dementia, was under the influence of an illegal substance, etc., at the time the will was drafted. You are required to show the person did not understand the consequences at the time the will was drafted. Will is Outdated: If there is a newer will discovered, it will trump the old will. It is easiest if the new will mentions the intent is to change, update, or void any earlier versions. To challenge a will, you must have legal standing. That means you must have some type of financial interest in the outcome. It does not have to be monetary, it can also be real or personal property. Someone with standing would also be a person who would stand to inherit “intestate,” which means if there was no will or a named beneficiary in the will. If you have questions about probate or need to contest a will in Washington DC, contact the team at Tobin, O’Connor & Ewing at 202-362-5900 to schedule a consultation.